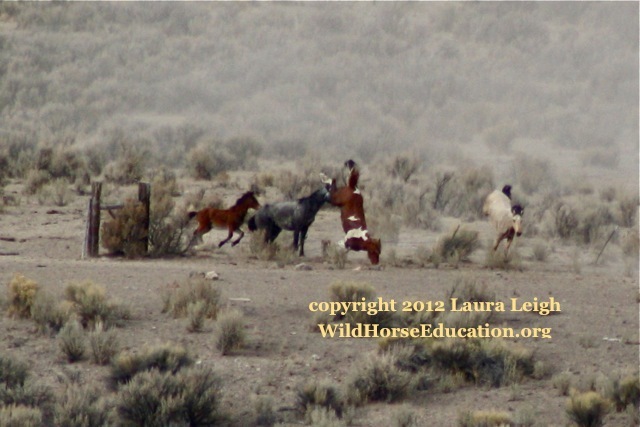 Wild Horse Education (WHE) founder and president, Laura Leigh, responds point-by-point to BLM’s press release about the just-released National Academy of Science (NAS) study which found serious flaws in the Bureau of Land Management (BLM) wild horse and burro management program. Jackson Mountain 2012 roundup: BLM ran newborn foals in the height of summer despite the agency’s own prohibition against foaling season roundups. 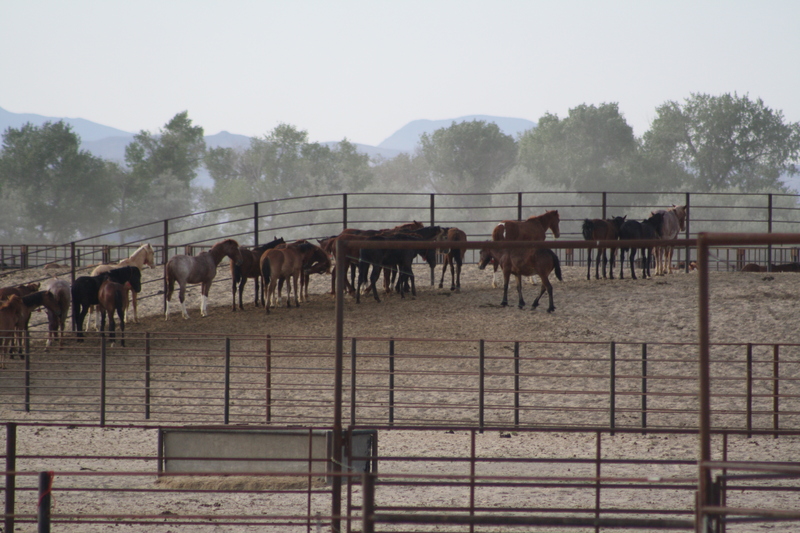 BLM also used a small area of purported drought to try to justify removing animals from the entire herd management area. I sit here flipping through the pages of the NAS report, working to amend our pending federal legal actions against BLM management practices in light of the incredibly accurate and honest findings in the NAS report, and getting prepared for breast cancer surgery tomorrow. It has come to my attention that BLM has released a response to the NAS report. Sadly, the BLM press release holds very little hope that BLM will respond in a genuine manner to the report. Instead, it appears the agency will continue to intentionally avoid subjects, misinterpret others and find ways to continue to assert that they are right no matter what, even in light of a two million dollar scientific report to the contrary. Here is a point by point response to BLM’s PR spin on the NAS report. OK, we can stop right there Mr. Gorey. After years of accusing the wild horse and burro advocates of being emotional and not sticking to the facts, now that you have a set of undeniable facts in front of you from the National Academy of Science (NAS) , you react emotionally and deny the validity of the information. You should be seriously ASHAMED. Mr Gorey, you know full well that the BLM is required to MANAGE wild horses and burros, NOT REMOVE them. Yet BLM continues to use removals as it’s primary “management” tool to the detriment of the balance and health of America’s wild herds. The NAS report clearly stated that the manner in which BLM does removals actually increase reproduction of wild horses and burros. The NAS basically reiterated what Wild Horse Education (WHE), as well as others, have written in comments over and over again to BLM, namely that the BLM has no adequate data to justify removals. How can we have any conversation toward appropriate management without valid data? What the American public expects, Mr. Gorey, is that BLM will take this NAS report seriously, take responsibility for their mistakes, and change to actually operate as the law was intended, not how BLM has bastardized it. According to the BLM press release, the agency has reformed things like humane care in the last several years. If that were true, Wild Horse Education would not have won four court orders against inhumane treatment in the last 4 years. The Bureau of Land Management today welcomed the findings and recommendations of a 14-member committee of the National Academy of Sciences (NAS) that reviewed the BLM’s wild horse and burro management issues over a two-year period. The resulting report, entitled “Using Science to Improve the BLM Wild Horse and Burro Program: A Way Forward,” was commissioned by the BLM, which requested the NAS to perform and prepare an independent assessment of numerous scientific-related issues related to the agency’s management of wild horses and burros on Western public rangelands. Wild Horse Education (WHE) comment: This study was CREATED by BLM and the agency supplied the documentation incorporated into the findings. Public information and reports were submitted, but not formally incorporated into the study. So BLM essentially defined the parameters of the report limiting scope of review and data to be used. WHE response: This, in our opinion, is nothing more than.. well, nothing. The last sentence is a bit hard to read in light of what we have seen day in and day out on the range to the contrary. The TRUTH is that now almost twice as many wild horses are warehoused by BLM than currently exist on the range. Further, the conditions in BLM holding centers are creating horses that can’t be adopted and that will ultimately go to the horror of slaughter. WHE reponse: The operative word is “could.” This would be funny if it were not so tragic. The program is non-sustainable, decisions have been made in the absence of scientific data, that created irreparable damage to wild herds.This is a non-productive, passive statement that is typically trotted out when BLM is faced with any prospect of change. What if he had said “will lead to,” and then began to address the recommendations as if they were actually worth the over 1.5 million dollars the tax payers spent on the tab? Water hauls on public land to facilitate cattle. Where are the water hauls for wild herds? If there are too many cows for the water, does this look like good stewardship to you? Under the 1976 Federal Land Policy and Management Act, the BLM is required to manage the public lands under its jurisdiction for multiple uses while protecting the land’s resources. The 1971 Wild Free-Roaming Horses and Burros Act mandates the Bureau to protect and manage these animals as part of the agency’s multiple-use mission, making sure that herd population levels are consistent with the land’s capacity to support them. WHE response: Under the 1971 Wild Free Roaming Horse and Burro Act, BLM is to manage wild horses and burros as integral to the range and protect them from branding, capture, harassment and death as the “living symbol of the pioneer spirit of the West.” BLM is to manage animals where presently found. Note that Wild Horse Education made a Freedom of Information Act (FOIA) request for the documents and maps that denote the assertion “where presently found” last year and has to date received no documents or maps. The multiple use mandate fails when wild horse and burro herd viability remains scientifically undefined. 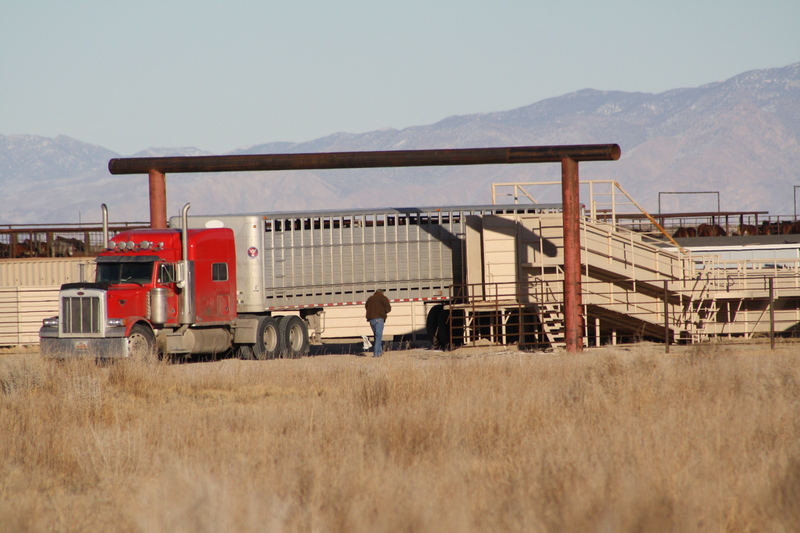 WHE asserts that when BLM says they are making sure that wild herd population levels are consistent with the the land’s capacity to support them, what they really mean is the capacity of BLM to support all other uses at the expense of wild horses and burros. The NAS study looked at issues such as population modeling, annual rates of population growth, fertility-control methods, carrying capacity of various lands that support wild horse herds, genetic diversity in wild horse herds, and predator impact on wild horse population growth. WHE response: Yes, the NAS study looked at those specifics and found that BLM is failing in all aspects of collecting and assessing data. Therefore none of BLM’s decisions are based on FACTS. BLM assertions are not enough to justify any of it’s current policy toward wild horses and burros. The Department of Interior manual clearly states that decisions must be based on best practices in scientific analysis in it’s programs. BLM gets a failing grade. Among other things, the research committee found that most free-roaming horse herds on public rangelands in the Western U.S. are growing at rates of 15 to 20 percent per year. A population growth rate of 20 percent per year results in a herd’s doubling in size in four years and tripling in six years. WHE response: The NAS report stated that BLM’s current practices may likely be to blame for artificially increasing birth rates. Until that determination is made, any current population assertions, based on BLM’s current information given to the NAS, are exercises in insanity. In WHE population surveys the actual birth rate per year has a median of 14%, exclusive of mortality rates, so old age and foal deaths are not factored into this percentage. As data actually becomes available, the myth of populations doubling every four years (if left alone) can be debunked. Reforms? 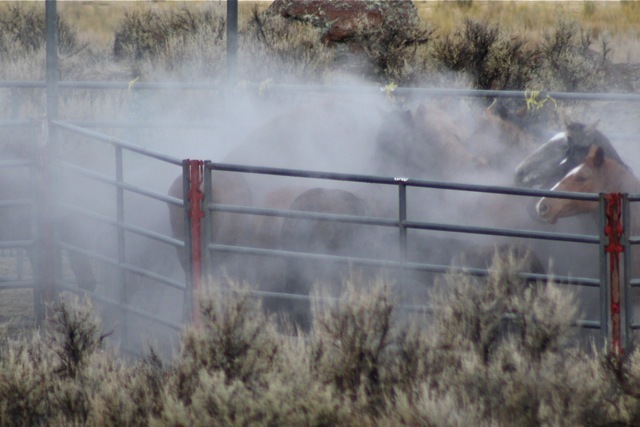 Ask this horse if BLM has “reformed” a humane care policy (photo from end of 2012 at Owyhee roundup). The report will help the BLM build on the reforms that the agency has taken over the past several years to improve program effectiveness, such as the stepped-up use of fertility control, additional measures to ensure the humane care of animals, and further program transparency. WHE response: BLM has just announced that bait trapping at Triple B will have absolutely NO transparency, no member of public will be allowed to view the procedure. WHE is amending our current legal Complaint for the Triple B and Jackson Mountain case, with the Court’s permission, to include bait trapping and transparency. WHE has won THREE Temporary Restraining Orders against BLM since August of 2011 and a Preliminary Injunction as well. All cases are related to the inappropriate conduct and inhumane treatment exhibited by BLM in regard to wild horses and burros. Reforms? Who wrote this press release? AND MOST IMPORTANTLY… THE BLM DID NOT ALLOW HUMANE HANDLING TO BE REVIEWED BY THE NAS! Who wrote this press release? The NAS research committee recommended that the BLM continue to build on its partnership with the U.S. Geological Survey to develop rigorous, practical, and cost-effective survey methods for population monitoring, which will help inform management decisions. The NAS committee further recommended that the BLM take into account the full variety of stakeholders, including local communities, in formulating its management plans and called on the BLM to provide greater specificity in its guidance to field managers regarding the establishment and adjustment of appropriate management (i.e., population) levels in its 179 Herd Management Areas across the West. WHE response: BLM you already take into account ALL “stakeholders” but one, the wild horse and burro advocate. BLM has repeatedly dismissed advocates and their valid concerns as they prioritize not only the uses of other interests, but treat those representing other interests with a consistently higher regard. The statement that there are 179 Herd Management Areas is deceiving. Many of those areas have no populations and more than 60% of them have populations that have been so decimated that they may no longer be genetically viable. Terrified horses, lathered from running in panic chaotically enter the trap. “Reformed?” The proof is in the doing… BLM has reformed nothing. The BLM will review the report in concert with the National Wild Horse and Burro Advisory Board, which advises the BLM and U.S. Forest Service on the management, protection, and control of wild free-roaming horses and burros on public lands administered by those agencies. 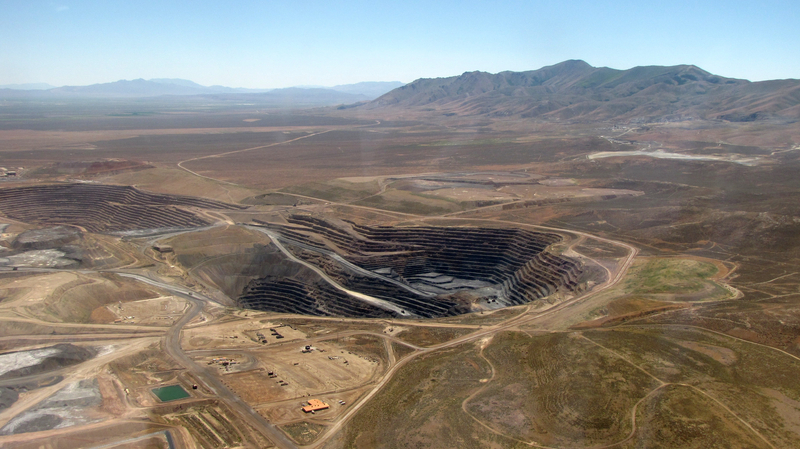 WHE response: BLM will “review,” but not take seriously, the recommendations; this is now clear. Wild Horse Education will is also “reviewing” the recommendations and WHE will take them seriously as we move our federal legal efforts against BLM forward. As always, we stand ready to have an honest conversation that works on real world solutions. ALL we have ever been after is an honest conversation. We are sincerely disappointed (but not surprised) that BLM is not taking this report to heart and working on real solutions that will preserve our wild herds. More information on the reforms that the BLM claims it has and will take in connection with the Wild Horse and Burro Program can be found here. More information on what is actually happening at the roundups and in captivity, and what Wild Horse Education is doing legally to challenge BLM can be found on our website. BREAKING NEWS! 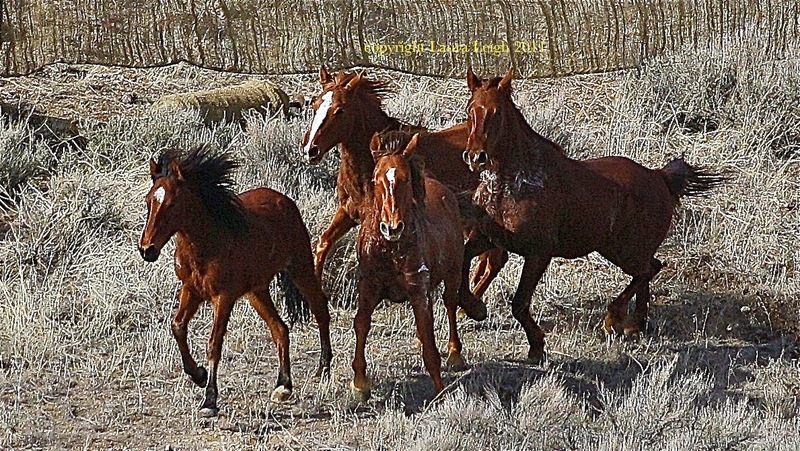 BLM Releasing Wild Horses from Diamond Complex Back to the Wild!